For other uses, see Elsevier (disambiguation). Elsevier (Dutch pronunciation: [ˈɛlzəviːr]) is a Dutch information and analytics company and one of the world's major providers of scientific, technical, and medical information. It was established in 1880 as a publishing company. It is a part of the RELX Group, known until 2015 as Reed Elsevier. Its products include journals such as The Lancet and Cell, the ScienceDirect collection of electronic journals, the Trends and Current Opinion series of journals, the online citation database Scopus, and the ClinicalKey solution for clinicians. Elsevier's products and services include the entire academic research lifecycle, including software and data-management, instruction and assessment tools. Elsevier's high operating profit margins (37% in 2018) and its copyright practices have subjected it to criticism by researchers. 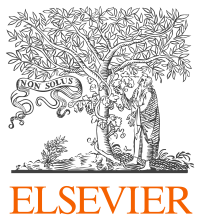 Elsevier was founded in 1880 and adopted the name and logo from the Dutch publishing house Elzevir that was an inspiration and has no connection to the contemporary Elsevier. The Elzevir family operated as booksellers and publishers in the Netherlands; the founder, Lodewijk Elzevir (1542–1617), lived in Leiden and established the business in 1580. In 1947, Elsevier began publishing its first English-language journal, Biochimica et Biophysica Acta. In 2013, Elsevier acquired Mendeley, a UK company making software for managing and sharing research papers. Mendeley, previously an open platform for sharing of research, was greatly criticized for the acquisition, which users saw as acceding to the "paywall" approach to research literature. Mendeley's previously open sharing system now allows exchange of paywalled resources only within private groups. The New Yorker described Elsevier's reasons for buying Mendeley as two-fold: to acquire its user data, and to "destroy or coöpt an open-science icon that threatens its business model". In December 2013, Elsevier announced a collaboration with University College London, the UCL Big Data Institute. Elsevier's investment is "substantial" and thought to be more than £10 million. During 2018[update], researchers submitted over 1.8 million research papers to Elsevier-based publications. Over 20,000 editors managed the peer review and selection of these papers, resulting in the publication of more than 470,000 articles in over 2,500 journals. Editors are generally unpaid volunteers who perform their duties alongside a full-time job in academic institutions, although exceptions have been reported. In 2013, the five editorial groups Elsevier, Springer, Wiley-Blackwell, Taylor & Francis, and SAGE Publications published more than half of all academic papers in the peer-reviewed literature. At that time, Elsevier accounted for 16% of the world market in science, technology, and medical publishing. Elsevier employs more than 7,800 people in over 70 offices across 24 countries. Following the integration of its Science & Technology and Health Sciences divisions in 2012, Elsevier has operated under a traditional business structure with a single chief executive officer (CEO). The CEO is Kumsal Bayazit, who was appointed on 15 February 2019. In 2018, Elsevier accounted for 34% of the revenues of RELX group (₤2.538 billion of ₤7.492 billion). In operating profits, it represented 40% (₤942 million of ₤2,346 million). Adjusted operating profits (with constant currency) rose by 2% from 2017 to 2018. Products and services include electronic and print versions of journals, textbooks and reference works, and cover the health, life, physical and social sciences. The target markets are academic and government research institutions, corporate research labs, booksellers, librarians, scientific researchers, authors, editors, physicians, nurses, allied health professionals, medical and nursing students and schools, medical researchers, pharmaceutical companies, hospitals, and research establishments. It publishes in 13 languages including English, German, French, Spanish, Italian, Portuguese, Polish, Japanese, Hindi, and Chinese. Flagship products and services include VirtualE, ScienceDirect, Scopus, Scirus, EMBASE, Engineering Village, Compendex, Cell, SciVal, Pure, and Analytical Services, The Consult series (FirstCONSULT, PathCONSULT, NursingCONSULT, MDConsult, StudentCONSULT), Virtual Clinical Excursions, and major reference works such as Gray's Anatomy, Nelson Pediatrics, Dorland's Illustrated Medical Dictionary, Netter's Atlas of Human Anatomy, and online versions of many journals including The Lancet. RELX Group has been active in mergers and acquisitions, with dozens of deals completed for a total of over 5 billion dollars in ten years. Elsevier has been joined by businesses which were either complementing or competing in the field of research and publishing and which reinforce its market power, such as Mendeley (after the closure of 2collab), SSRN, bepress/Digital Commons, PlumX. For example, a resolution by Stanford University's senate singled out Elsevier's journals as being "disproportionately expensive compared to their educational and research value", which librarians should consider dropping, and encouraged its faculty "not to contribute articles or editorial or review efforts to publishers and journals that engage in exploitive or exorbitant pricing". Similar guidelines and criticism of Elsevier's pricing policies have been passed by the University of California, Harvard University, and Duke University. In July 2015, the Association of Universities in the Netherlands (VSNU) announced a plan to start boycotting Elsevier, which refused to negotiate on any Open Access policy for Dutch universities. In December 2016, Nature Publishing Group reported that academics in Germany, Peru and Taiwan are to lose access to Elsevier journals as negotiations had broken down with the publisher. A complaint about Elsevier/RELX was made to the UK Competition and Markets Authority in December 2016. In October of 2018, a competition complaint against Elsevier was filed with the European Commission, alleging anti-competitive practices stemming from Elsevier's confidential subscription agreements and market dominance. According to the BBC, "the firm [Elsevier] offered a £17.25 Amazon voucher to academics who contributed to the textbook Clinical Psychology if they would go on Amazon.com and Barnes & Noble (a large US books retailer) and give it five stars." Elsevier said that "encouraging interested parties to post book reviews isn't outside the norm in scholarly publishing, nor is it wrong to offer to nominally compensate people for their time. But in all instances the request should be unbiased, with no incentives for a positive review, and that's where this particular e-mail went too far", and that it was a mistake by a marketing employee. Elsevier seeks to regulate text and data mining with private licenses, claiming that reading requires extra permission if automated and that the publisher holds copyright on output of automated processes. The conflict on research and copyright policy has often resulted in researchers being blocked from their work. In November 2015 Elsevier blocked a scientist from performing text mining research at scale on Elsevier papers, even though his institution already pays for access to Elsevier journal content. The data were collected via parsing of downloaded PDF and HTML files, although Elsevier claimed that the method used was screenscraping. Main article: Who's Afraid of Peer Review? One of Elsevier's journals was caught in the sting set-up by John Bohannon, published in Science, called Who's Afraid of Peer Review? The journal Drug Invention Today accepted an obviously bogus paper made up by Bohannon that should have been rejected by any good peer review system. Instead, Drug Invention Today was among many open access journals that accepted the fake paper for publication. As of 2014, this journal had been transferred to a different publisher. At a 2009 court case in Australia where Merck & Co. was being sued by a user of Vioxx, the plaintiff alleged that Merck had paid Elsevier to publish the Australasian Journal of Bone and Joint Medicine, which had the appearance of being a peer-reviewed academic journal but in fact contained only articles favourable to Merck drugs. Merck described the journal as a "complimentary publication," denied claims that articles within it were ghost written by Merck, and stated that the articles were all reprinted from peer-reviewed medical journals. In May 2009, Elsevier Health Sciences CEO Hansen released a statement regarding Australia-based sponsored journals, conceding that they were "sponsored article compilation publications, on behalf of pharmaceutical clients, that were made to look like journals and lacked the proper disclosures." The statement acknowledged that it "was an unacceptable practice." The Scientist reported that, according to an Elsevier spokesperson, six sponsored publications "were put out by their Australia office and bore the Excerpta Medica imprint from 2000 to 2005," namely the Australasian Journal of Bone and Joint Medicine (Australas. J. Bone Joint Med. ), the Australasian Journal of General Practice (Australas. J. Gen. Pract. ), the Australasian Journal of Neurology (Australas. J. Neurol. ), the Australasian Journal of Cardiology (Australas. J. Cardiol. ), the Australasian Journal of Clinical Pharmacy (Australas. J. Clin. Pharm. ), and the Australasian Journal of Cardiovascular Medicine (Australas. J. Cardiovasc. Med.). Excerpta Medica was a "strategic medical communications agency" run by Elsevier, according to the imprint's web page. In October 2010, Excerpta Medica was acquired by Adelphi Worldwide. There was speculation that the editor-in-chief of Elsevier journal Chaos, Solitons & Fractals, Mohamed El Naschie, misused his power to publish his own work without appropriate peer review. The journal had published 322 papers with El Naschie as author since 1993. The last issue of December 2008 featured five of his papers. The controversy was covered extensively in blogs. The publisher announced in January 2009 that El Naschie had retired as editor-in-chief. As of November 2011[update] the co-Editors-in-Chief of the journal were Maurice Courbage and Paolo Grigolini. In June 2011 El Naschie sued the journal Nature for libel, claiming that his reputation had been damaged by their November 2008 article about his retirement, which included statements that Nature had been unable to verify his claimed affiliations with certain international institutions. The suit came to trial in November 2011 and was dismissed in July 2012, with the judge ruling that the article was "substantially true", contained "honest comment" and was "the product of responsible journalism". The judgement noted that El Naschie, who represented himself in court, had failed to provide any documentary evidence that his papers had been peer-reviewed. Judge Victoria Sharp also found "reasonable and serious grounds" for suspecting that El Naschie used a range of false names to defend his editorial practice in communications with Nature, and described this behavior as "curious" and "bizarre". Plagiarism detection is considered an important component of journal publication. Some Elsevier journals automatically screen submissions for plagiarism but not all. In November 1999 the entire editorial board (50 persons) of the Journal of Logic Programming (founded in 1984 by Alan Robinson) collectively resigned after 16 months of unsuccessful negotiations with Elsevier Press about the price of library subscriptions. The personnel created a new journal, Theory and Practice of Logic Programming, with Cambridge University Press at a much lower price, while Elsevier continued publication with a new editorial board and a slightly different name (the Journal of Logic and Algebraic Programming). In 2002, dissatisfaction at Elsevier's pricing policies caused the European Economic Association to terminate an agreement with Elsevier designating Elsevier's European Economic Review as the official journal of the association. The EEA launched a new journal, the Journal of the European Economic Association. In 2003, the entire editorial board of the Journal of Algorithms resigned to start ACM Transactions on Algorithms with a different, lower-priced, not-for-profit publisher, at the suggestion of Journal of Algorithms founder Donald Knuth. The Journal of Algorithms continued under Elsevier with a new editorial board until October 2009, when it was discontinued. The same happened in 2005 to the International Journal of Solids and Structures, whose editors resigned to start the Journal of Mechanics of Materials and Structures. However, a new editorial board was quickly established and the journal continues in apparently unaltered form with editors D.A. Hills (Oxford University) and Stelios Kyriakides (University of Texas at Austin). In August 2006, the entire editorial board of the distinguished mathematical journal Topology handed in their resignation, again because of stalled negotiations with Elsevier to lower the subscription price. This board then launched the new Journal of Topology at a far lower price, under the auspices of the London Mathematical Society. After this mass resignation, Topology remained in circulation under a new editorial board until 2009, when the last issue was published. The French École Normale Supérieure has stopped having Elsevier publish the journal Annales Scientifiques de l'École Normale Supérieure (as of 2008). The elevated pricing of field journals in economics, most of which are published by Elsevier, was one of the motivations that moved the American Economic Association to launch the American Economic Journal in 2009. In May 2015, Stephen Leeder was removed from his role as editor of the Medical Journal of Australia after its publisher decided to outsource the journal's production to Elsevier. As a consequence, all but one of the journal's editorial advisory committee members co-signed a letter of resignation. In October 2015, the entire editorial staff of the general linguistics journal Lingua resigned in protest of Elsevier's unwillingness to agree to their terms of Fair Open Access. Editor in Chief Johan Rooryck also announced that the Lingua staff would establish a new journal, Glossa. In 2003 various university librarians began coordinating with each other to complain about Elsevier's "big deal" journal bundling packages, in which the company offered a group of journal subscriptions to libraries at a certain rate, but in which librarians claimed there was no economical option to subscribe to only the popular journals at a rate comparable to the bundled rate. Librarians continued to discuss the implications of the pricing schemes, many feeling pressured into buying the Elsevier packages without other options. On 21 January 2012, mathematician Timothy Gowers publicly announced he would boycott Elsevier, noting that others in the field have been doing so privately. The three reasons for the boycott are high subscription prices for individual journals, bundling subscriptions to journals of different value and importance, and Elsevier's support for SOPA, PIPA, and the Research Works Act. On 27 February 2012, Elsevier issued a statement on its website that declared that it has withdrawn support from the Research Works Act. Although the Cost of Knowledge movement was not mentioned, the statement indicated the hope that the move would "help create a less heated and more productive climate" for ongoing discussions with research funders. Hours after Elsevier's statement, the sponsors of the bill, US House Representatives Darrell Issa and Carolyn Maloney, issued a joint statement saying that they would not push the bill in Congress. The Plan S open-access initiative, which began in Europe and has since spread to some US research funders would force researchers receiving some grants to publish in open access journals by 2020. A spokesman for Elsevier said "If you think that information should be free of charge, go to Wikipedia". In September 2018 UBS advised to sell Elsevier (RELX) stocks, noting that Plan S could affect 5-10% of scientific funding and may force Elsevier to reduce pricing. Germany's DEAL project (Projekt DEAL) which includes over 60 major research institutions, including Göttingen University, has announced that all of its members are cancelling their contracts with Elsevier, effective 1 January 2017. The boycott is in response to Elsevier's refusal to adopt "transparent business models" to "make publications more openly accessible". Horst Hippler, spokesperson for the DEAL consortium states that "taxpayers have a right to read what they are paying for" and that "publishers must understand that the route to open-access publishing at an affordable price is irreversible". In July 2017, another 13 institutions announced that they would also be cancelling their subscriptions to Elsevier journals. As of August 2017, at least 185 German institutions have now cancelled their contracts with Elsevier. As of January 2018, whilst negotiations are ongoing, around 200 German universities who cancelled their subscriptions to Elsevier journals have been granted complimentary open access to them during 2018. In 2013, Elsevier changed its policies in response to sanctions announced by the US Office of Foreign Assets Control that year. This included a request that all Elsevier journals avoid publishing papers by Iranian nationals which are employed by the Iranian government. Elsevier executive Mark Seeley expressed regret on behalf of the company but did not announce an intention to challenge this interpretation of the law. In 2015 a consortium of all of Netherlands' 14 universities threatened to boycott Elsevier if it could not agree that articles by Dutch authors would be made open access and settled with the compromise of 30% of its Dutch papers becoming open access by 2018. Gerard Meijer, president of Radboud University in Nijmegen and lead negotiator on the Dutch side notes that "it's not the 100% that I hoped for". In May 2018, the Bibsam Consortium, which negotiates license agreements on behalf of all Swedish universities and research institutes, decided not to renew their contract with Elsevier  alleging that the publisher does not meet the demands of transition towards a more open access model, and referring to the rapidly increasing costs for publishing. Swedish universities will still have access to articles published before 30 June 2018. Astrid Söderbergh Widding, Chairman of the Bibsam Consortium, said that "the current system for scholarly communication must change and our only option is to cancel deals when they don't meet our demands for a sustainable transition to open access". In March 2018, Florida State University's faculty elected to cancel its $2 million subscription to a bundle of several journals. Starting in 2019 it will instead buy access to titles à la carte. PRISM. In the case of PRISM, the Association of American Publishers hired Eric Dezenhall, the so-called "Pit Bull Of Public Relations". The European Union's Open Science Monitor was criticised after Elsevier were confirmed as a subcontractor. In 2014, 2015, 2016 and 2017, Elsevier was found to be selling some articles which should have been open access, but had been put behind a paywall. A related case occurred in 2015, when Elsevier charged for downloading an open access article from a journal published by John Wiley & Sons. However, it was not clear whether Elsevier was in violation of the license under which the article was made available on their website. In 2013, Digimarc, a company representing Elsevier, told the University of Calgary to remove articles published by faculty authors on university web pages; although such self-archiving of academic articles may be legal under the fair dealing provisions in Canadian copyright law, the university complied. Harvard University and the University of California, Irvine also received takedown notices for self-archived academic articles, a first for Harvard, according to Peter Suber. Months after its acquisition of Academia.edu rival Mendeley, Elsevier sent thousands of takedown notices to Academia.edu, a practice that has since ceased following widespread complaint by academics, according to Academia.edu founder and chief executive Richard Price. Elsevier uses its imprints (that is, brand names used in publishing) to market to different consumer segments. Many of the imprints have previously been the names of publishing companies that were purchased by Reed Elsevier. ^ a b c d e f g h "2018 RELX Group Annual Report" (PDF). RELX Company Reports. RELX. March 2019. ^ "Elsevier finds its one globe voice" (PDF). ^ Reller, Tom. "RELX Group homepage". ^ "Plum Goes Orange – Elsevier Acquires Plum Analytics". 2017-02-02. ^ Reller, Tom. "Science Direct". ^ RELX (21 February 2019). "RELX — Results for the year to December 2018" (PDF) (Press release). London, United Kingdom and Amsterdam, The Netherlands: RELX Group. Retrieved 2019-03-27. Adjusted operating margin for 2017 for the publishing division is 36.8% (p6). ^ Lin, Thomas (13 February 2012). "Mathematicians Organize Boycott of a Publisher". The New York Times. ^ a b Groen 2007, p. 217. ^ "Reed Elsevier Timeline". www.ulib.niu.edu. Archived from the original on 30 October 2015. Retrieved 13 September 2015. ^ Amirtha, Tina (2015-04-17). "THE OPEN PUBLISHING REVOLUTION, NOW BEHIND A BILLION-DOLLAR PAYWALL". Fast Company. Retrieved 26 January 2016. ^ Dobbs, David (12 April 2013). "When the Rebel Alliance Sells Out". The New Yorker. ^ "University College London and Elsevier launch UCL Big Data Institute | Elsevier Connect". Elsevier.com. Retrieved 26 December 2013. ^ "Reed Elsevier announces knowledge partnership with University College, London". The Independent. 18 December 2013. Retrieved 29 September 2014. (Subscription required (help)). ^ "These Five Corporations Control Academic Publishing". Vocativ.com. 10 June 2015. Retrieved 31 January 2018. ^ Vincent Larivière; Stefanie Haustein; Philippe Mongeon (2015). "The Oligopoly of Academic Publishers in the Digital Era". PLoS ONE. 10 (6): e0127502. Bibcode:2015PLoSO..1027502L. doi:10.1371/journal.pone.0127502. PMC 4465327. PMID 26061978. ^ "Elsevier leads the business the internet could not kill". www.ft.com. Retrieved 7 November 2016. ^ "Elsevier Next Steps". Information Today. Retrieved 7 November 2016. ^ "Kumsal Bayazit". Elsevier.com. Retrieved 22 February 2019. ^ "RELX Group plc". Crunchbase. ^ Glyn Moody (2017-08-04). "Elsevier Continues To Build Its Monopoly Solution For All Aspects Of Scholarly Communication". Techdirt. Retrieved 2018-10-17. ^ Mike Masnick (2016-05-17). "Disappointing: Elsevier Buys Open Access Academic Pre-Publisher SSRN". Techdirt. Retrieved 2018-10-17. ^ "Elsevier Global Conferences". elsevier.com. ^ Monbiot, George (29 August 2011). "Academic publishers make Murdoch look like a socialist". Guardian. ^ "Elsevier journals — some facts". Gowers's Weblog. 24 April 2014. Retrieved 27 July 2014. ^ "Fac Sen addresses costly journals". The Stanford Daily. 20 February 2004. Archived from the original on 5 November 2012. ^ Schiermeier, Quirin; Mega, Emiliano Rodríguez (2016). "Scientists in Germany, Peru and Taiwan to lose access to Elsevier journals". Nature. 541 (7635): 13. Bibcode:2017Natur.541...13S. doi:10.1038/nature.2016.21223. PMID 28054621. ^ Martin Paul Eve (2016-12-14). "Referring Elsevier/RELX to the Competition and Markets Authority". ^ Kelly, Éanna (2 November 2018). "Researchers complain to Brussels over 'dominant position' of RELX Group in scientific publishing". sciencebusiness.net. Retrieved 16 January 2019. ^ Finlo Rohrer, "The perils of five-star reviews", BBC News Magazine, 25 June 2009. ^ Van Noorden, Richard (2014-02-03). "Elsevier opens its papers to text-mining". Nature. 506 (7486): 17. Bibcode:2014Natur.506...17V. doi:10.1038/506017a. ISSN 0028-0836. PMID 24499898. “It was a legitimate criticism, that people sent text-mining requests in to publishers and they bounced around for a time without any response,” admits Chris Shillum, vice-president of product management for platform and content at Elsevier. ^ Moody, Glyn. "Elsevier Says Downloading And Content-Mining Licensed Copies Of Research Papers 'Could Be Considered' Stealing". TechDirt. Retrieved 21 November 2015. ^ Nuijten, Michèle B.; Hartgerink, Chris H. J.; van Assen, Marcel A. L. M.; Epskamp, Sacha; Wicherts, Jelte M. (23 October 2015). "The prevalence of statistical reporting errors in psychology (1985–2013)". Behavior Research Methods. 48 (4): 1205–1226. doi:10.3758/s13428-015-0664-2. PMC 5101263. PMID 26497820. ^ Bohannon, John (2013). "Who's Afraid of Peer Review?". Science. 342 (6154): 60–65. Bibcode:2013Sci...342...60B. doi:10.1126/science.342.6154.60. PMID 24092725. ^ Claire Shaw (2013-10-04). "Hundreds of open access journals accept fake science paper". The Guardian. Theguardian.com. Retrieved 26 December 2013. ^ "Drug Invention Today". sciencedirect.com. ^ Rout, Milanda (9 April 2009). "Doctors signed Merck's Vioxx studies". The Australian. Archived from the original on 6 May 2009. Retrieved 4 May 2009. ^ Grant, Bob (30 April 2009). "Merck published fake journal". The Scientist. Retrieved 4 May 2009. ^ Hagan, Kate (23 April 2009). "Merck accused of 'ghost writing' medical article". The Age. Retrieved 4 May 2009. ^ "Merck Responds to Questions about the Australasian Journal of Bone and Joint Medicine Journal" (PDF) (Press release). Merck & Co. 30 April 2009. Archived from the original (PDF) on 31 December 2009. ^ "Statement from Michael Hansen, CEO Of Elsevier's Health Sciences Division, regarding Australia based sponsored journal practices between 2000 and 2005" (Press release). Elsevier. ^ Grant, Bob (7 May 2009). "Elsevier published 6 fake journals". The Scientist. ^ ""Excerpta Medica", official webpage". Elsevier. ^ ""Excerpta Medica Joins Adelphi Worldwide", press release". Elsevier. ^ "El Naschie Watch Blog". Archived from the original on 15 October 2010. ^ Chaos, Solitons and Fractals. November 2011. ^ Ghosh, Pallab (11 November 2011). "Nature journal libel case begins". BBC News. Retrieved 11 November 2011. ^ Aron, Jacob (6 July 2012). "Nature Publishing Group wins libel trial". New Scientist (2873). Retrieved 14 July 2012. ^ "Plagiarism detection". Copernicus Publications. ^ "Plagiarism detection". Elsevier. All new submissions to many Elsevier journals are automatically screened using CrossCheck within the editorial system. ^ Ivan Oransky (2018-08-23). "UPDATED: Elsevier retracts a paper on solar cells that appears to plagiarize a Nature journal. But the reason is…odd". ^ EffeDesign. "The EEA's journal: a brief history". Eeassoc.org. Retrieved 26 December 2013. ^ "Changes at the Journal of Algorithms" (PDF). Retrieved 26 December 2013. ^ Donald Knuth (25 October 2003). "Letter to the editorial board of the Journal of Algorithms" (PDF). Retrieved 18 February 2008. ^ "Journal of Algorithms page at ScienceDirect". Sciencedirect.com. Retrieved 26 December 2013. ^ "Journal declarations of independence". Open Access Directory. Simmons College. Retrieved 23 May 2012. ^ "Resignation letter from the editors of Topology" (PDF). 10 August 2006. Retrieved 18 February 2008. ^ "Topology page at ScienceDirect". Sciencedirect.com. Retrieved 26 December 2013. ^ "Publisher's description of Annales Scientifiques de l'École Normale Supérieure". Elsevier. Archived from the original on 12 April 2008. Retrieved 18 February 2008. ^ "Medical journal editor sacked and editorial committee resigns". 2015-05-03. Retrieved 18 May 2015. ^ Jaschik, Scott (2 November 2015). "Language of Protest". Inside Higher Ed. Retrieved 18 January 2017. ^ "Elsevier journal editors resign, start rival open-access journal". www.insidehighered.com. Retrieved 2019-01-14. ^ Chawla, Dalmeet Singh (2019-01-14). "Open-access row prompts editorial board of Elsevier journal to resign". Nature. doi:10.1038/d41586-019-00135-8. ^ Groen 2007, p. 177. ^ Groen 2007, p. 180. ^ a b c Flood, Alison (2 February 2012). "Scientists sign petition to boycott academic publisher Elsevier". The Guardian. Archived from the original on 16 February 2012. ^ a b Fischman, Josh (30 January 2012). "Elsevier Publishing Boycott Gathers Steam Among Academics". The Chronicle of Higher Education. Archived from the original on 16 February 2012. ^ a b "Scientific publishing: The price of information". The Economist. 4 February 2012. Archived from the original on 16 February 2012. ^ "Elsevier Backs Down as Boycott Grows". Archived from the original on 11 September 2014. Retrieved 25 August 2014. ^ "Sponsors and Supporters Back Away from Research Works Act". Retrieved 25 August 2014. ^ Noorden, Richard Van (5 November 2018). "Wellcome and Gates join bold European open-access plan". Nature. doi:10.1038/d41586-018-07300-5. Retrieved 16 January 2019. ^ Elder, Bryce (12 September 2018). "Stocks to watch: SSE, BAT, Galápagos, RELX, Telefónica, RBS". Financial Times. Retrieved 14 October 2018. ^ "Scientific journal subscription costs in Finland 2010-2015: a preliminary analysis". rOpenGov. Retrieved 2017-10-15. ^ "Tiedonhinta.fi". tiedonhinta.fi. Retrieved 2017-10-15. ^ "No deal, no review – #nodealnoreview". Nodealnoreview.org. Retrieved 2017-10-15. ^ Kukkonen, Suvi (2018-01-17). "FinELib and Elsevier Reach Agreement for Subscription Access and Open Access Publishing". National Library. Retrieved 2018-01-17. ^ Toma Susi (2018-01-25). "Finland takes steps in the openness of academic journal pricing". Mostly Physics. Retrieved 2018-05-01. ^ Marie Farge. Transition vers l’Accès Libre: le piège des accords globaux avec les éditeurs. Matematika (in French). Club de Mediapart. Retrieved 2018-05-01. ^ Haufe, Gottfried (20 November 2018). "Vertragskündigungen Elsevier 2018". www.projekt-deal.de. Retrieved 6 March 2019. ^ Else, Holly (5 February 2019). "Thousands of scientists run up against Elsevier's paywall". www.nature.com. Retrieved 6 March 2019. ^ Doctorow, Cory (15 December 2016). "Germany-wide consortium of research libraries announce boycott of Elsevier journals over open access". Boing Boing. Retrieved 27 December 2016. ^ "No full-text access to Elsevier journals to be expected from 1 January 2017 on". Göttingen State and University Library. Archived from the original on 27 December 2016. Retrieved 27 December 2016. ^ a b c d Schiermeier, Quirin; Mega, Emiliano Rodríguez (2016). "Scientists in Germany, Peru and Taiwan to lose access to Elsevier journals". Nature. 541 (7635): 13. Bibcode:2017Natur.541...13S. doi:10.1038/nature.2016.21223. PMID 28054621. Retrieved 27 December 2016. ^ "Pressemitteilungen". Lrk-bw.de (in German). Retrieved 2017-07-11. ^ "Major German Universities Cancel Elsevier Contracts". The Scientist. Retrieved 2017-07-18. ^ "A bold open-access push in Germany could change the future of academic publishing". Science | AAAS. 2017-08-23. Retrieved 2017-08-24. ^ Conference, German Rectors'. "Researchers resign editorship of Elsevier journals". Retrieved 2017-10-16. ^ "German universities to let Elsevier contracts lapse | Books+Publishing". Booksandpublishing.com.au. Retrieved 2017-07-29. ^ "Vertragskündigungen Elsevier 2017 – Projekt DEAL". Projekt-deal.de. Retrieved 2017-09-12. ^ Matthews, David (4 January 2018). "Elsevier maintains German access despite failure to strike deal". Times Higher Education (THE). London, United Kingdom. ISSN 0049-3929. Retrieved 2018-01-05. ^ Schiermeier, Quirin (4 January 2018). "Germany vs Elsevier: universities win temporary journal access after refusing to pay fees". Nature News. 553 (7687): 137. Bibcode:2018Natur.553..137S. doi:10.1038/d41586-018-00093-7. ISSN 1476-4687. PMID 29323311. Retrieved 2018-01-05. ^ Price, Gary (19 December 2018). "Max Planck Society Discontinues Agreement with Elsevier. Affirms Support for Projekt Deal". infodocket.com Library Journal. Retrieved 19 December 2018. ^ "Hungarian Consortium terminates negotiations with Elsevier". eisz.mtak.hu. Retrieved 16 January 2019. ^ McKenzie, Lindsay (14 January 2019). "Elsevier journal editors resign, start rival open-access journal". www.insidehighered.com. Retrieved 16 January 2019. ^ Baghianimoghadam, Behnam (2014-02-09). "Scientific sanctions: A catastrophe for the civilized world". Indian Journal of Medical Ethics. Retrieved 2018-12-25. ^ "Taylor & Francis group bans publication of articles by Iranian authors". Fars News. 2013-11-05. Retrieved 2018-12-25. ^ Seeley, Mark (2013-05-09). "Trade sanctions against Iran affect publishers". Elsevier. Retrieved 2018-12-25. ^ Bohannon, John (11 December 2015). "In unique deal, Elsevier agrees to make some papers by Dutch authors free". ScienceMag. Retrieved 27 December 2016. ^ "Dutch Universities and Elsevier reach agreement in principle - Library UvA - University of Amsterdam". Universiteit van Amsterdam. 12 October 2015. Archived from the original on 27 December 2016. Retrieved 27 December 2016. ^ "How Elsevier plans to sabotage Open Access". Medium. 2017-03-25. Retrieved 2017-03-26. ^ "Norwegian research institutions have decided not to renew their agreement with Elsevier". UNIT. 2019-03-12. Retrieved 2019-03-12. ^ "70여개 대학 도서관, 새해 첫 날부터 일부 논문 못 봐 - 한국대학신문" (in Korean). 2017-12-29. Retrieved 2018-01-05. ^ "South Korean universities reach agreement with Elsevier after long standoff". Science | AAAS. 2018-01-15. Retrieved 2018-01-16. ^ "Sweden cancels Elsevier contract as open-access dispute spreads". www.timeshighereducation.com. ^ annwen. "Bibsamkonsortiet - Kungliga biblioteket". www.kb.se (in Swedish). Retrieved 2018-05-31. ^ "Sweden stands up for open access – cancels agreement with Elsevier". OpenAccess.se (in Swedish). 2018-05-16. Retrieved 2018-05-30. ^ Wentzel, Annica (16 May 2018). "Sweden stands up for open access – cancels agreement with Elsevier". openaccess.blogg.kb.se. Retrieved 6 March 2019. ^ "關於Elsevier資料庫合約談判 CONCERT聲明". Retrieved 27 December 2016. ^ "Taiwan Tech to Discontinue Subscription to Elsevier ScienceDirect Starting 2017 - NTUST Library". Retrieved 27 December 2016. ^ Schmitt, Jason (2017-03-30). "Asia Advances Open Access Research". Huffington Post. Retrieved 2017-04-29. ^ a b "UC terminates subscriptions with world's largest scientific publisher in push for open access to publicly funded research". www.universityofcalifornia.edu. 28 February 2019. Retrieved 6 March 2019. ^ Yirka, Bob (4 March 2019). "University of California terminates subscriptions to Elsevier". phys.org. Retrieved 6 March 2019. ^ Zhang, Sarah (4 March 2019). "The Real Cost of Knowledge". The Atlantic. Retrieved 6 March 2019. ^ "Lobbying Spending Database - RELX Group, 2017". Opensecrets.org. Retrieved 2017-08-30. ^ "Federal Research Public Access Act (Alliance for Taxpayer Access)". Taxpayeraccess.org. Retrieved 2017-03-25. ^ "Legislation to Bar Public-Access Requirement on Federal Research Is Dead". The Chronicle of Higher Education. 2012-02-27. Retrieved 2017-03-25. ^ "How Corporations Score Big Profits By Limiting Access To Publicly Funded Academic Research". ThinkProgress. 2013-03-03. Retrieved 2017-03-25. ^ Contributor. "The Dangerous "Research Works Act"". TechCrunch. Retrieved 2017-03-25. ^ Hu, Jane C. "Academics Want You to Read Their Work for Free". The Atlantic. Retrieved 2017-03-25. ^ Elsevier. "Message on the Research Works Act". Elsevier.com. Retrieved 2017-03-25. ^ Kakaes, Konstantin (2012-02-28). "Scientists' Victory Over the Research Works Act Is Like the SOPA Defeat". Slate. ISSN 1091-2339. Retrieved 2017-03-25. ^ "Elsevier withdraws support from Research Works Act, bill collapses". Boing Boing. 2012-02-28. Retrieved 2017-03-25. ^ "Academic publishers have become the enemies of science". The Guardian. 2012-01-16. ISSN 0261-3077. Retrieved 2017-03-26. ^ "Elsevier, Wiley are getting PR advice from Eric Dezenhall". Transcription and Translation. Retrieved 2017-03-25. ^ Dyer, Owen (2007-02-03). "Publishers hire PR heavyweight to defend themselves against open access". BMJ: British Medical Journal. 334 (7587): 227. doi:10.1136/bmj.39112.439051.DB. ISSN 0959-8138. PMC 1790741. PMID 17272546. ^ "Scientific Publishers Offer Solution to White House's Public Access Mandate". Science | AAAS. 2013-06-04. Retrieved 2017-03-25. ^ ""The Pit Bull Of Public Relations" - Bloomberg". Bloomberg.com. 2006-04-17. Retrieved 2017-03-25. ^ "Muscle from Brussels as open access gets an €80bn boost". Times Higher Education (THE). 2012-05-17. Retrieved 2017-03-26. ^ "Horizon 2020 to promote open access". Gowers's Weblog. 2012-05-17. Retrieved 2017-03-26. ^ "Horizon 2020: A €80 Billion Battlefield for Open Access". Science | AAAS. 2012-05-24. Retrieved 2017-03-26. ^ "European Union links research grants to open access". Retrieved 2017-03-26. ^ "Inside Higher Ed: Big push for open access". Times Higher Education (THE). 2013-02-26. Retrieved 2017-03-26. ^ "Elsevier distances itself from open-access article". Times Higher Education (THE). 2013-05-22. Retrieved 2017-03-26. ^ "How Corporations Score Big Profits By Limiting Access To Publicly Funded Academic Research". ThinkProgress. 2013-03-03. Retrieved 2017-03-26. ^ "Hated Science Publisher Elsevier To Help EU Monitor Open Science - Including Open Access". Techdirt. Retrieved 2018-04-05. ^ Lykkja, Pål Magnus; Myklebust, Jan Petter (17 March 2018). "Open science in the EU – Will the astroturfers take over?". University World News. Retrieved 2018-04-13. ^ Ross Mounce (2017-02-20). "Hybrid open access is unreliable". Retrieved 2018-04-30. ^ Jump, Paul (27 March 2014). "Elsevier: bumps on road to open access". Times Higher Education. Retrieved 9 March 2015. ^ Vollmer, Timothy (13 March 2015). "Are commercial publishers wrongly selling access to openly licensed scholarly articles?". Creative Commons News. Retrieved 14 March 2015. ^ Mike Masnick. "Elsevier Ramps Up Its War On Access To Knowledge". Techdirt. Retrieved 2018-05-01. ^ Peterson, Andrea (19 December 2013). "How one publisher is stopping academics from sharing their research". The Washington Post. Retrieved 6 January 2015. ^ Masnick, Mike (20 December 2013). "Elsevier Ramps Up Its War On Access To Knowledge". Techdirt. Retrieved 6 January 2015. ^ "How one publisher is stopping academics from sharing their research". Washington Post. Retrieved 2017-03-26. ^ Parr, Chris (12 June 2014). "Sharing is a way of life for millions on Academia.edu". Times Higher Education. Retrieved 14 September 2015. ^ Howard, Jennifer (6 December 2013). "Posting Your Latest Article? You Might Have to Take It Down". The Chronicle of Higher Education. Retrieved 14 September 2015. ^ Mike Masnick SSRN accused of copyright crackdown, Techdirt. ^ McLaughlin, Stephen Reid (18 March 2016). "Elsevier v. Sci-Hub on the docket". Retrieved 2016-06-28. ^ "Simba Information: Five Professional Publishing News Events of 2015 Signal Times Are A-Changin'". PR Newswire. 17 December 2015. Retrieved 28 June 2016. ^ Reller, Tom (15 January 2019). "About the resignation of the Journal of Informetrics Editorial Board". Elsevier Connect. Retrieved 15 March 2019. Wikimedia Commons has media related to Reed Elsevier. Mary H. Munroe (2004). "Reed Elsevier Timeline". The Academic Publishing Industry: A Story of Merger and Acquisition. Archived from the original on 20 October 2014 – via Northern Illinois University.